What a delight it was to have the opportunity to see and hear this charming late work of Donizetti. As William Ashbrook rightly noted, there is almost no page in Linda – from the excellent symphonic overture to the joyful finale/duet – that doesn’t merit our admiration. Even if, grouse number one, the overture was actually omitted in this performance as were the repeat of the final cabaletta and possibly one or two other internal repeats. The only problem with Linda is that she is, to modern audiences, over-innocent and naïve. Updating the action to the 1930s (or thereabouts – Il Marchese di Boisfleury made his entrance in a motor car) only exacerbates this. It would be much better to leave the setting as c. 1760, though I think 1840 could work too. Otherwise, the production by Emilio Sagi was mercifully concept free – no machine guns, no undertones of fascism, none of the clichés all too often seen these days. The Parisian interior for Act II, basically an entrance hall and a staircase, worked well and was good to look at. The abstract walls for the outer acts were plain ugly; there wasn’t a mountain to be seen in this Chamounix. I thought musical values were high. Jessica Pratt was the Linda. Her “O luce di quest’anima” I thought was a bit tentative with the coloratura under-defined. 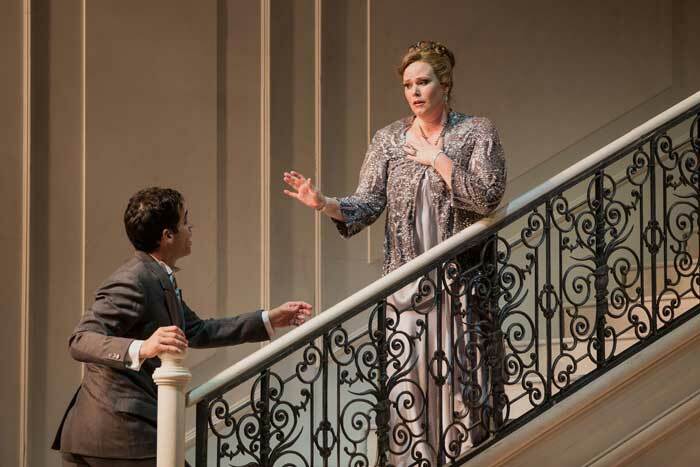 But the audience gave her warm and extended applause for it, and certainly the top notes were lustrous; she is a soprano whose upper register doesn’t thin out or become strained. 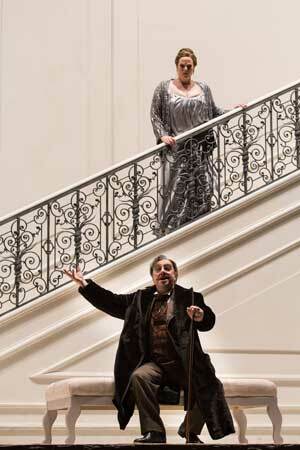 Thereafter she was excellent: joyous in her duet with Carlo, determined in fending off of the Marchese, and moving in the Act II mad scene (its runs executed cleanly). 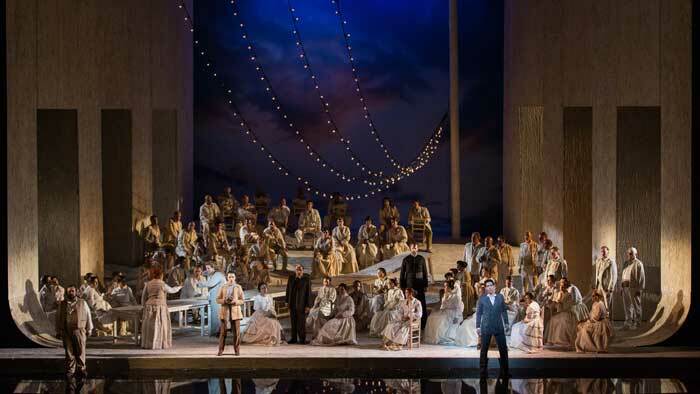 All in all it was a very convincing portrayal, both vocally and dramatically. 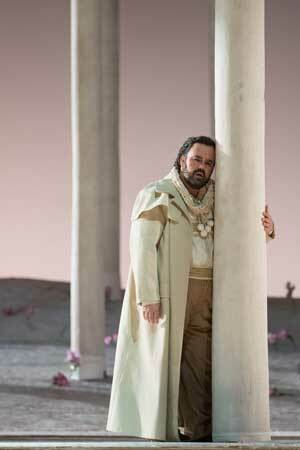 Her Carlo was Ismael Jordi, elegant both in appearance and musical line. His Act II aria “Se tanto in ira agli uomini” was one of the most beautiful examples of sustained pianissimo bel-canto tenor singing I have ever heard. Until the last three notes when he interpolated a loud, high and very unbeautiful ending that wrecked the atmosphere so marvellously created. Why oh why do singers do this? Do Italian audiences feel cheated without top notes? There was a convincing Pierotto from Ketevan Kemoklidze (a breeches part) – she is a mezzo to watch out for. The lower men’s parts were in safe hands: Roberto De Candida elegant vocally as Linda’s father, Antonio; the buffo Bruno De Simone sufficiently oily and threatening to be a convincing Marchese; Christian Van Horn finely focussed and correct as Il Prefetto. Caterina Di Tonno (Maddalena, Linda’s mother) and Saverio Fiore as the L’Intendente (here the Marchese’s chauffeur) completed the cast. There was excellent choral and orchestral support, and Riccardo Frizza conducted lovingly, relishing Donizetti’s fully worked-out orchestrations and supporting the singers through this melodically rich score. One last thought on the opera. 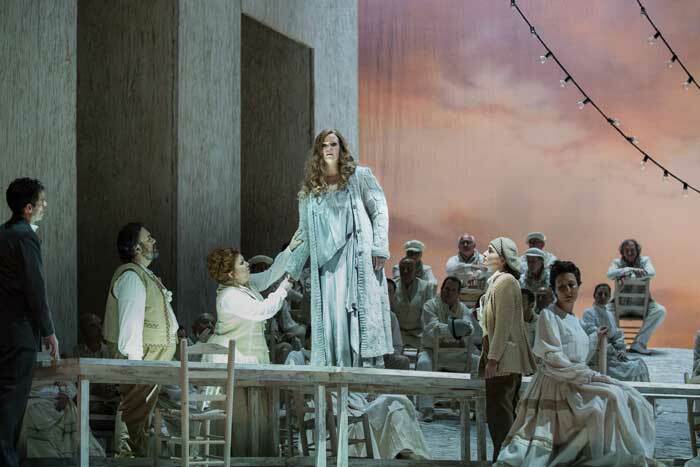 If Lucia can be thought of as Donizetti’s response to Bellini’s I puritani, it is surely Linda rather than L’elisir that is his response to La sonnambula. Both have innocent heroines, both have lyrical tenor lovers whose voices bring their beloveds from one state back to happy normality (Linda from madness, Amina from a sleepwalker’s trance), both have bass characters with an eye for young women (though Bellini’s Rodolpho isn’t a buffo role), both have caring mothers, and both have pastoral settings. 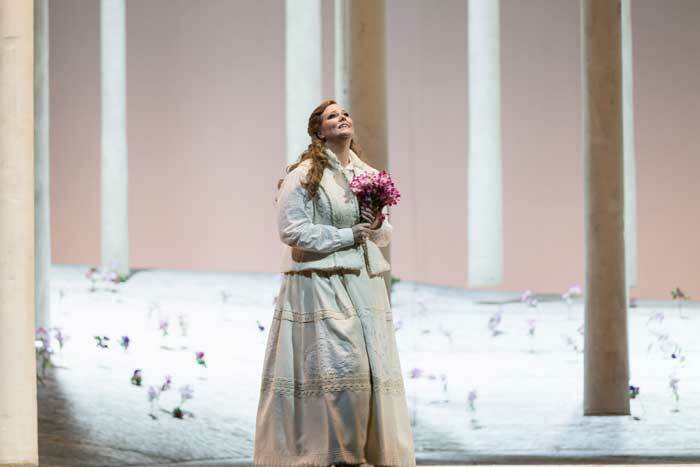 Without denying the very considerable beauties of La sonnambula, it can too easily verge on the enervating and so I think I prefer Linda as an opera, though in this Rome performance the end was slightly muted because that final ensemble cabaletta was shorn of its repeat. Indeed I found myself wishing that Donizetti had written an “Ah! non giunge” to round off the evening and musing how strange it was that neither Tadolini, for the Vienna prima, or Persiani (who I am aware had persuaded Donizetti to write “O luce” for her at the first production in Paris), had insisted on one.